Get Paid to Play with Tools. Jump-start your career and enjoy all of the perks of owning your own franchise with the award-winning support of Matco Tools. This franchise opportunity allows you to work for yourself and set financial goals that will help turn your dreams into reality. Plus, being surrounded by the best tools and equipment on the market isn’t a bad perk! We’ve developed a model that allows you to go into business for yourself – not by yourself. Start a booming business with one of the fastest growing companies in the automotive industry – Join the Matco Team today! Company is booming - We had a record number of new franchisees in 2014! As a franchise owner, you’ll benefit from nearly 70 years of national brand experience in the automotive equipment industry with over 20,000 of the highest quality and most innovative tools in the business. With continued growth year over year, we’ve structured our programs and resources to help you run a successful business that is rewarding, profitable and fun. Our network of 1,600 independent mobile distributors services over 500,000 loyal customers each week. To get started, you will be given a list of at least 325 exclusive potential customers who know and love our brand. Our distributors are committed to providing the premium tools, storage and equipment that our customers need to get the job done, while also offering outstanding service and customer support. Matco not only provides one of the most extensive training programs in the industry, but we also offer on-going support to help you continuously grow your business. Our initial 10-day classroom training program combines product information with business classes to help you get off to a successful start. After you graduate, you will experience another six weeks of intensive training in the field. 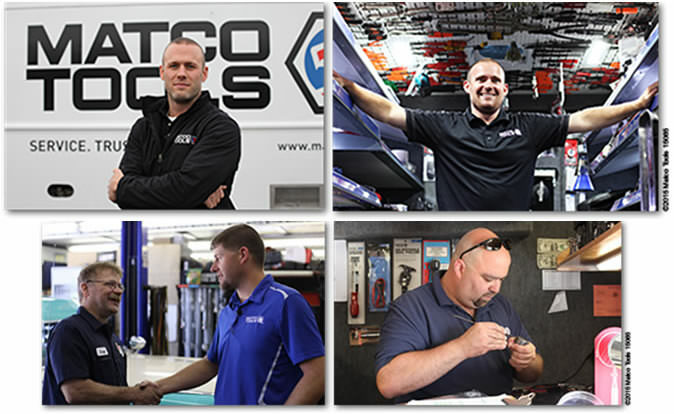 We make sure that you feel comfortable and confident, not only with your decision to join the Matco Tools family, but also day-to-day in your store. 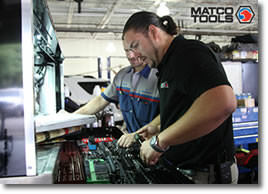 In addition to the industry-leading classroom sessions and hands-on training in your store, Matco will provide you with the tools you need to succeed. Receive national advertising, marketing materials and sales tools to boost your business at no cost to you – No advertising or royalty fees. 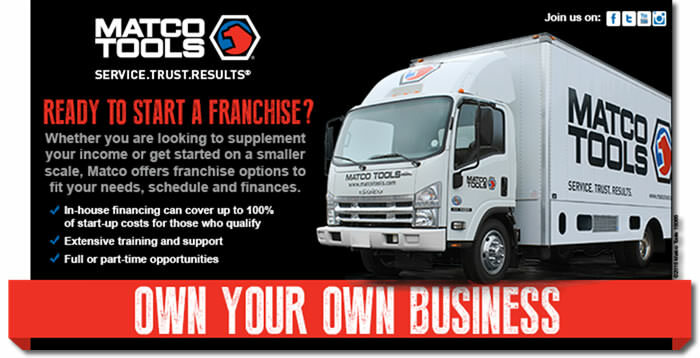 In addition to having one of the lowest start-up costs in franchising, Matco Tools is one of the few franchise systems that offers in-house financing to those who qualify. Matco’s Financial Services group has a dedicated team that will assist you with your financial needs as you start your new business. Starting your own business is a big decision which is why it’s important to partner with a company that best fits your schedule, finances, goals and needs. 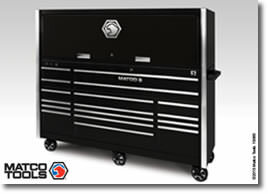 Matco understands that one size does not fit all, so we’ve created different levels of ownership. 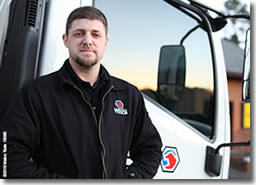 Now, you can choose the franchise model that works best for you – full or part time. At the end of the day, one of the best things about being a Matco Distributor is being a part of something that is larger than yourself. It’s knowing that you are part of a team that is dedicated to seeing results and that works together to ensure that those results are driven. 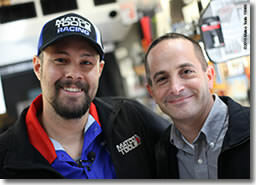 Get behind the wheel and enjoy the benefits of businessownership with Matco Tools. 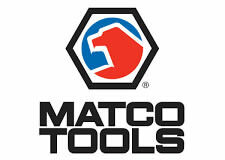 Matco Tools is currently accepting inquiries from the following states: Wyoming, West Virginia, Wisconsin, Washington, Vermont, Virginia, Utah, Texas, Tennessee, South Dakota, South Carolina, Rhode Island, Pennsylvania, Oregon, Oklahoma, Ohio, New York, Nevada, New Mexico, New Jersey, New Hampshire, Nebraska, North Dakota, North Carolina, Montana, Mississippi, Missouri, Minnesota, Michigan, Maine, Maryland, Massachusetts, Louisiana, Kentucky, Kansas, Indiana, Illinois, Idaho, Iowa, Hawaii, Georgia, Florida, Delaware, Connecticut, Colorado, California, Arizona, Arkansas, Alabama, Alaska.